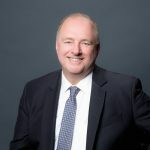 Richard joined Black Creek Investment Management in 2008 and has over 29 years of investment management experience as an investment analyst and portfolio manager of international equities. Prior to joining Black Creek, Richard was with AIM Trimark/Trimark Investment Management, where he was responsible for funds with combined assets of 10 billion dollars, including Trimark Europlus, Trimark Global Balanced Fund, Trimark Select Growth Fund, and Trimark Fund. He also has experience managing equity and real estate portfolios with Toronto Dominion Investment Management and with AMHC Alberta Heritage Savings and Trust fund. 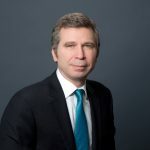 Richard has a Bachelor of Commerce degree with distinction from the University of Alberta, an MBA from INSEAD (European Institute of Business Administration), has completed programs in Behavioural Finance at Harvard University. He is a member of the Business Advisory Council for the Alberta School of Business.